It’s hard to imagine life without a decent app (or 50!). 2018 marks a time when almost everyone has a smartphone to hand, and if you do, then you’ll understand the fascination and benefits of a well-designed app and tarot reading apps are no exception. Many of the best tarot reading apps out there right now have people with the passion for tarot behind them, which is reassuring, but there are a few tarot apps that are not so loaded with integrity that you might want to avoid. To help you navigate the wiley world of tarot apps, we predict that this is the only tarot reading app guide that you’ll need this year! 1 Are Tarot Reading Apps Better Than Tarot Cards? Are Tarot Reading Apps Better Than Tarot Cards? As a tarot reader, I can officially state there is nothing quite like using real-life tarot cards – there really isn’t. I say this not because it hurts a little to discuss tarot from a digital perspective (ok, it hurts a lot) but because there is energy that rises from the cards when you physically have them in your presence, which is diluted when you use a tarot reading app. Plus, I like to think that my cards build up a patina of energy that represents everybody I have read for and enhances the relationship and reading experience of the cards which is not something that you can do when you don’t have a physical pack of cards handy. Tarot reading apps, are convenient they don’t take up space, and you can easily access many different tarot cards and spreads without being physically weighed down. And even though the energy is diluted in a tarot reading app, it means that you can at least look at the different card decks and find out if you like them, or feel a connection to them before you buy the real deal. Tarot reading apps are also handy if you just want a quick, free tarot reading, and there are plenty of those available with a tarot reading app. They are also usually loaded with information about the cards which means you are essentially carrying around a tarot library in just one app. Which can be a quite persuasive argument when it comes to turning a seasoned and traditional tarot reader into one who at least explores a tarot reading app. There are some pretty good reasons why you should consider using tarot app, and as a result of the research I’ve carried out on these apps, I’m going to be keeping some apps on my phone too – just in case! Here are some great examples of who a tarot reading app is useful for and why you might consider using one. As a beginner, you can have a robot read your tarot for you, so you don’t have to read them yourself. They are a great way to test out a different style of tarot card before buying. You can secretly do, or learn tarot while you are on the tube, or during your break at work. A version of your cards can be carried around in your pocket without having to lug a big box of cards around. Handy for the occasional impromptu reading. You might feel protective over your cards and only like to take them out in the right environment e.g candles, crystals, protection etc. Now we’ve discussed the in’s and outs of tarot reading apps, here are the top ten tarot reading apps for 2018. 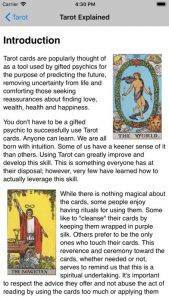 Fools Dog apps are seasoned and passionate tarot pro’s and while most of their apps are £3.99 (some of which are included in the list below) they have a free app which gives you access to a variety of different decks, functions and layouts that most people love about Fools Dog apps. A Journal to help you learn tarot. Opportunity to share your readings online for further insight. 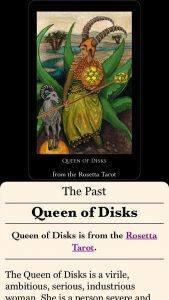 This app is loaded with relevant and honest tools and information and offers you an excellent opportunity to explore different tarot decks (and believe me there are many decks which are all tempting and can become expensive to buy!). So this app is more than a tarot app, but since the tarot uses a LOT of numerology, it can only enhance your experience and help you develop your tarot skills even further. Signs the sun and moon are in. Tarot spreads for the week ahead based on your birth date. Access to plenty of tarot spreads that instantly load. A brief interpretation of the cards. This is an extensive app, which provides the beginner, or somebody who is just looking for readings everything they need. 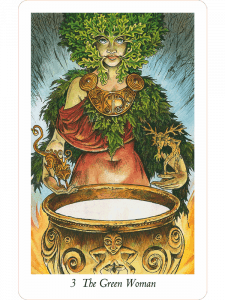 This is another fantastic and charming tarot reading app who demonstrate their passion and appreciation for the art. 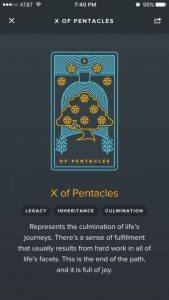 The design is inspiring, and it also takes responsibility by reminding people that the true essence of tarot lies in the cards of your deck and that this app should be used as a convenient tool or a tool for your tarot studies – Kudos to Tina Gong for acknowledging this. This is a good tarot reading app with a simple interface that even includes a few extra ‘daily readings’ there is quite a lot of options for a free app. But there isn’t any opportunity to learn the tarot or understand the meanings of the cards aside from comparing the message with the card that you pull out in your reading. This is a fun tarot that you might want to take a light-hearted approach to, but it’s still worth a look. 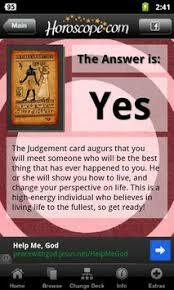 You select a topic, ask a question, choose a card, and your yes-no answer will be revealed. If none of the above tarot reading apps appeals to you, then the next few might just do that but be warned, while the feature of these apps are as good as the top free, most of these options are paid apps and cost around £3.99 to access. Get clarity on any situation right from your pocket! A great way to become familiar with the cards. Allows you to secretly use tarot without others knowing what you are doing. Try out different packs before you buy. Lots of details about different spreads, symbols and features of the cards. Perfect for beginners, and for people who don’t want to learn tarot but want a vague idea of what’s happening. A fun way to explore tarot, which feels a lot less spooky (which some people might appreciate). The true value of tarot lies in your own interpretations of the symbols and energy of the cards – not from a book or somebody else’s keywords which will result in superficial readings. The energy of the tarot appears to be diluted with a tarot app. 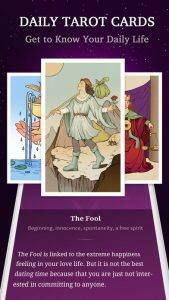 Some tarot app creators might not be credible, and so neither will the readings. 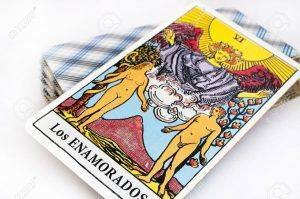 You’ll need to interpret the meaning of the cards into your own life, whereas with a professional tarot reader, they will help you, or show you how the message fits in. If you have a tarot reading app, or not, there are times when you will benefit from more profound insight into a situation and a higher perspective. Particularly if you seek reassurance, guidance or support in some way. All tarot readings should be uplifting and insightful, and should fill you with energy and bring your perspective around to what you can do, or should do in a situation, which is empowering and puts you in control of your life. 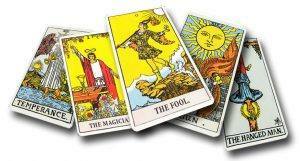 You can expect that from any of the tarot readers reading for the psychic sites I’ve listed below. Kasamba- Get three minutes free! Will you try out a tarot app, or even your first live reading?